When booking your villa holiday to Menorca, we highly recommend hiring a car to fully experience this wonderful island. Relax, explore your beautiful surroundings at your own pace, and be free from restrictions and timetables. Menorca is small, roughly one fifth the size of its bigger and busier sister Mallorca. Menorca is about 10 miles across at its widest and 35 miles long. To put it into perspective: from the capital Mahon on the east side of the island you’ll get to the other end of the island, to Ciutadella, in less than 50 minutes! Driving in Menorca is far less stressful than in other tourist locations. The road system is small, consisting mostly of a few major roads, the main one being the ME1 which runs from Mao (Mahon) to Ciutadella, and quiet smaller narrow roads (camis). There are no motorways and very few dual carriageways. The maximum speed limit is 80km/h which is a little under 50mph. The roads are also in great condition and very well signposted; the road signs are standard throughout Europe. There are generally not many cars on the roads too, making driving quite relaxing and making it very unlikely that you’ll be stuck in a traffic jam. Parking is relatively easy around the island; in towns there will be areas marked with blue lines and sometimes the word 'Ticket'. These are Pay and Display parking bays. Another advantage of having a car in Menorca is being able to easily reach the unspoilt beaches that fringe the island, as they are usually just a short walk from nearby car parks. Also, if the weather isn’t ideal on one side of the island, you can simply drive to the other side. 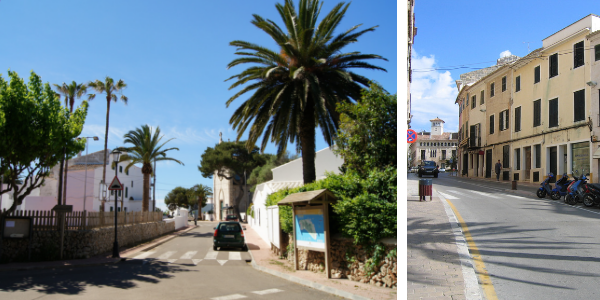 At MPO Travel we offer a meet and greet car hire service, making your holiday in Menorca stress-free from the moment you land. We support local companies who give an excellent and professional service. You will be met in the arrivals hall by a representative who will take you to your car which will be waiting for you right outside in the short stay car park, which means no long queues or bus trips to a car hire warehouse. All the paperwork is done in the UK and all you need to do is show up and collect your car – stress-free! We offer a delivery and collection service so you can have your car delivered to you at your villa if you want! No hidden or unexpected charges. Baby and booster seats available for an extra charge. in 2017 the island completely sold out of cars in high season. You’ll also have more choice in cars when you book early! 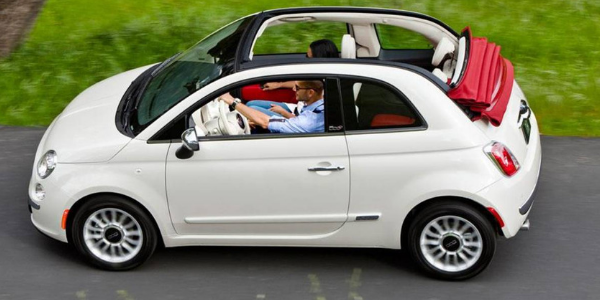 We have access to a limited number of the popular convertible Fiat 500s. Check the car hire booking conditions and make sure there are no hidden costs! If booking online be sure to check the cancellation policy, as over the last few years car hire companies have been known to cancel the booking you made months in advance because they can resell the space at a higher price when supply is limited. If you’d like to hire a car for your holiday in Menorca, please call us today or use our Car Hire Quotation Request form and we’ll be in touch!